Today OHPI received a letter from the Minister of Multicultural Affairs for Victoria, Robin Scott, in which he acknowledges the rise in far-right activity in the state and commends the work that we are doing to preserve the multicultural character of our society. His letter is in response to the concerns we raised with him, with respect to the rising levels of far-right hate we were observing online and on our streets. We thank the Minister for this vote of confidence in our work and for the strong statement he has made in the letter for balance between our right for free speech and our responsibility to respect others, their faith and their way of life. We urge the Minister to speak to his colleagues in the State and Federal parliament to speak out unambiguously against hate speech, the way he has. We will also share this correspondence with politicians across the board asking them to support our ongoing campaign Spotlight on Anti-Muslim Internet Hate (SAMIH). Here’s the text of the letter. 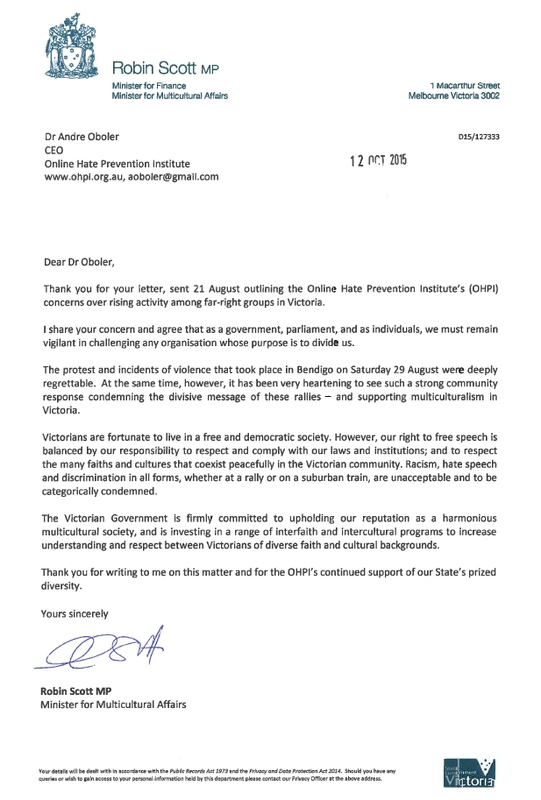 Thank you for your letter, sent 21 August outlining the Online Hate Prevention Institute’s (OHPI) concerns over rising activity among far-right groups in Victoria. I share your concern and agree that as a government, parliament, and as individuals, we must remain vigilant in challenging any organisation whose purpose is to divide us. The protests and incidents of violence that took place in Bendigo on Saturday 29 August were deeply regrettable. At the same time, however, it has been very heartening to see such a strong community response condemning the divisive message of these rallies – and supporting multiculturalism in Victoria. Victorians are fortunate to live in a free and democratic society. However, our right to free speech is balanced by our responsibility to respect and comply with our laws and institutions; and to respect the many faiths and cultures that coexist peacefully in the Victorian community. Racism, hate speech and discrimination in all forms, whether at a rally or on a suburban train, are unacceptable and to be categorically condemned. The Victorian Government is firmly committed to upholding our reputation as a harmonious multicultural society, and is investing in a range of interfaith and intercultural programs to increase understanding and respect between Victorians of diverse faith and cultural backgrounds. Thank you for writing to me on this matter and for the OHPI’s continued support of the our State’s prized diversity. 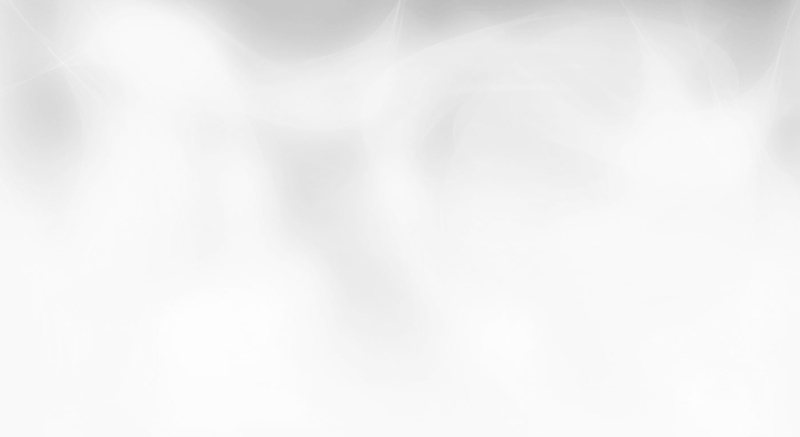 Please join our current campaign SAMIH and help us combat online anti-Muslim hate. You can support us by contributing to our crowdfunding appeal or by joining our reporting campaign (sign-up here to get all information on the campaign).